Through the judgment of the cases – Nagar Ayukt Nagar Nigam, Kanpur v. Sri Mujib Ullah Khan and Another and Nagar Nigam, Gorakhpur v.Ram Shanker Yadavand Another, delivered on April 2, 2019, Justice Mohan M. Shantanagouder and Justice Hemant Gupta, at the Supreme Court have ruled that section 14 of the payment of Gratuity Act, 1972 overrides the provisions of the section 3 of the State Act – U.P. Dookan aur Vanijya Adhisthan Adhiniyam, 1962, which is to the effect that Such Act will have no application to the office of Government or Local Bodies (Municipalities). A perusal of the relevant provisions of section 1(3) (c ) of the 1972 Act shows that the Act is applicable to (1) every factory, mine, oilfield, plantation, port and railway company; (2) every shop or establishment within the meaning of any law for the time being in force in relation to shops and establishments in a State, in which 10 or more persons are employed; and (3) the establishments or class of establishments, which Central Govt. may notify. In terms of the section 1(3) (c ) of the Act, the Central Govt. has published a notification on January 8, 1982, specifying that Local Bodies in which 10 or more persons are employed, or were employed, on any day of the preceding twelve months as a class of establishment to which this Act shall apply. The Supreme Court has noted that the notification of January 8, 1982 was not referred to before the Allahabad High Court. Such notification makes it abundantly clear that the Act is applicable to the local bodies –the municipalities. Section 14 of the Act has been given an overriding effect over any other inconsistent provision in any other enactment. 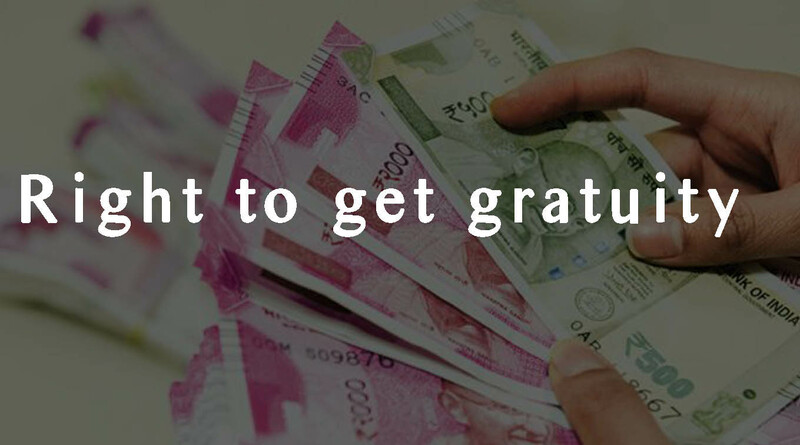 In view of section 14 of the Act, the provision in the State Act contemplating to restrict payment of Gratuity will be inapplicable in respect of the employees of the local bodies. Section 2(e) of the Act alone was referred to in the judgment of the case – Municipal Corporation of Delhi v. Dharam Prakash Sharma and Another – AIR 1999 SC 293. The said judgment is in the context of CCS (Pension) Rules, 1972 which specifically provides for payment of Pension and Gratuity. The Act is applicable to the municipalities, therefore, it is wholly inconsequential even if there is no reference to the notification of January 8, 1982. The challenge in the one of the two civil appeals (2628/2017) is to an order of April 19, 2007 passed by a Single Judge Bench of the Allahabad High Court, whereby an order passed by the Controlling Authority, Kanpur under the Payment of Gratuity Act, 1972 was not interfered with. In the other appeal (2629/2017), which has been heard with this appeal, the challenge was to an order of May 2, 2007 passed by the same HC, upholding an order passed under the Act by the Controlling Authority (Addl. Labour Commissioner,Gorakhpur) on April 29, 2006, allowing the petition for gratuity in favour of the respondents herein. The appellant –Municipal Corporation, Kanpur is governed by the Uttar Pradesh Municipal Corporation Act, 1959, whereas the respondent is an employee of the appellant. In both the cases, employees claimed gratuity by invoking the jurisdiction of the Controlling Authorities under the Act. The appellants’ counsel contended before the HC that the gratuity was payable in accordance with the Retirement Benefits and General Provident Fund Regulations, 1962, framed under section 548 of the 1959 Act as amended on January 11 , 1988. Such Regulations contemplate payment of gratuity at the rate of 15 days salary per month for 16.5 months. It was found by the HC that it is the 1972 Act, which is applicable, whereby, the gratuity calculated at the rate of 15 days salary for every completed year without any ceiling of months or part thererof. The argument advanced by the appellant before the HC was, that gratuity is payable in terms of Rule 4(1) of the 1962 Regulations published under section 548(1) of the 1959 Act as mended on January 11, 1988.Therefore, the employees of the Municipalities are entitled to the gratuity In terms of the Regulations framed in exercise of powers of section 548 of the 1959 Act and not under the 1972 Act. (1)This Act may be called the Payment of Gratuity Act,1972. Provided that in so far as it relates to plantations or ports, it shall not extend to the State of Jammu and Kashmir. The entire argument of the appellant is that the State Act confers restrictive benefit of gratuity than what is conferred under the Central Act. Such argument is not tenable in view of section 14 of the 1972 Act and that liberal payment of gratuity is in fact in the interest of the employees. Thus, the gratuity would be payable under the 1972 Act. Such is the view taken by the Controlling Authority. In view of this, The Supreme Court’s finding has been that there is no error in the orders passed by the Controlling Authorities under the Act and as maintained by the HC. Consequently, the Supreme Court dismissed these appeals.